Pink Floyd drummer Nick Mason performed vintage material by the legendary UK band at the first of four intimate London concerts on May 20, and video from the show has surfaced online. Billed as Nick Mason's Saucerful Of Secrets – after the group’s second album – the project focuses on the group’s seminal series of groundbreaking albums in the mid-1960s while marking the drummer’s first live musical outing since Pink Floyd played at the 2005 Live 8 concert in London. 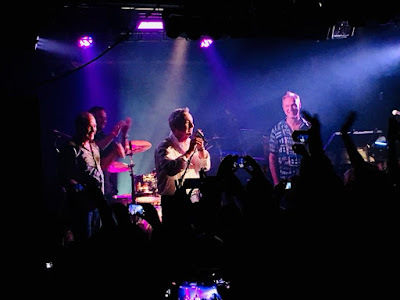 Mason was joined at Dingwalls by a lineup that includes Spandau Ballet’s Gary Kemp, Lee Harris of the Blockheads, bassist Guy Pratt and composer Dom Beken, a collaborator with late Floyd keyboardist Rick Wright. “Thank you for coming along tonight, it was fun,” posted Mason after the show. The four-date run will wrap up at the Half Moon in Putney on May 24.